St. Lucia is the perfect destination for a family vacation. Still relatively unknown, the lush tropical island is a true gem of the Caribbean. 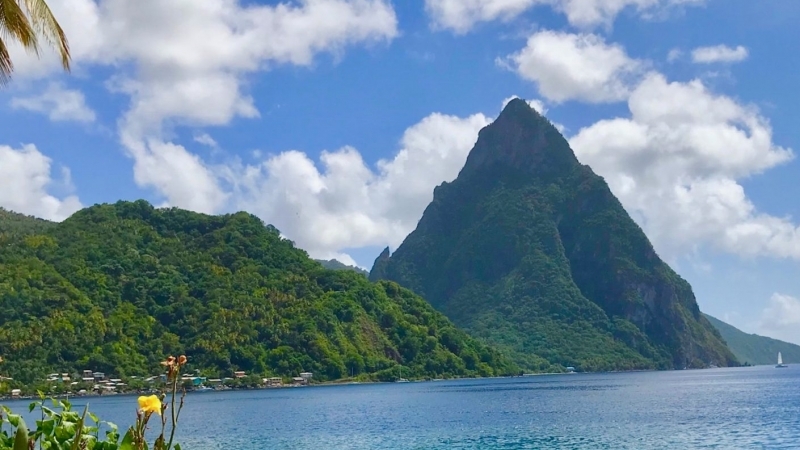 It is an island of district natural beauty with magnificent twin peaks, called the Pitons rising 2,000 feet up from the sea. Families can find a variety of activities that will make both the adult and kids happy. 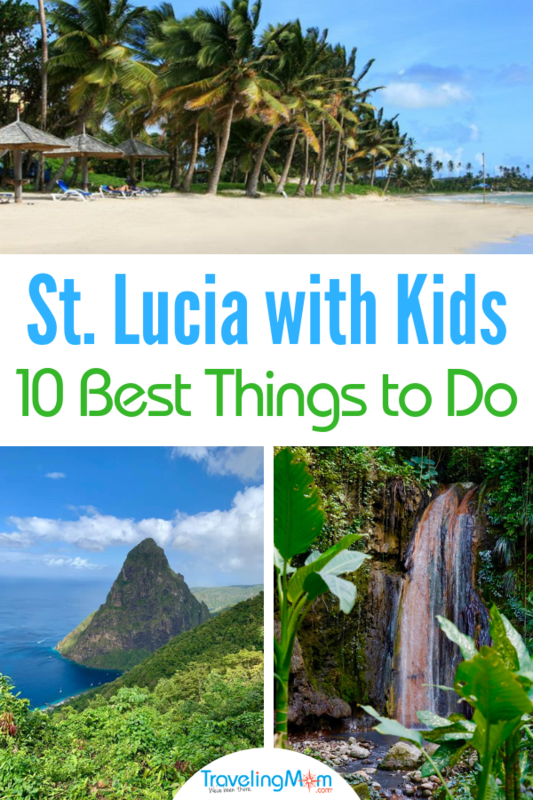 We’ve come up with a list of 10 fantastic things to do in St. Lucia with Kids. 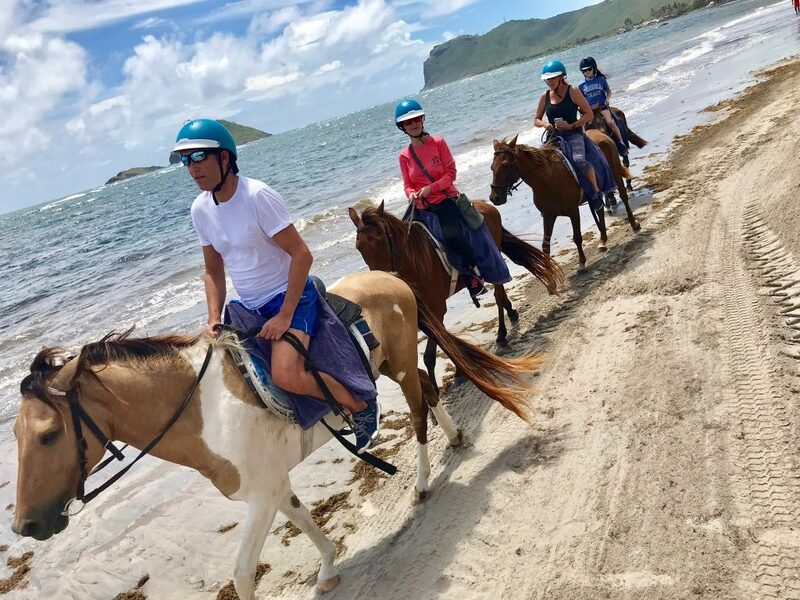 St. Lucia provides a varied landscape to pursue activities for adventure seekers, nature lovers and even those who just want to kick back and relax. 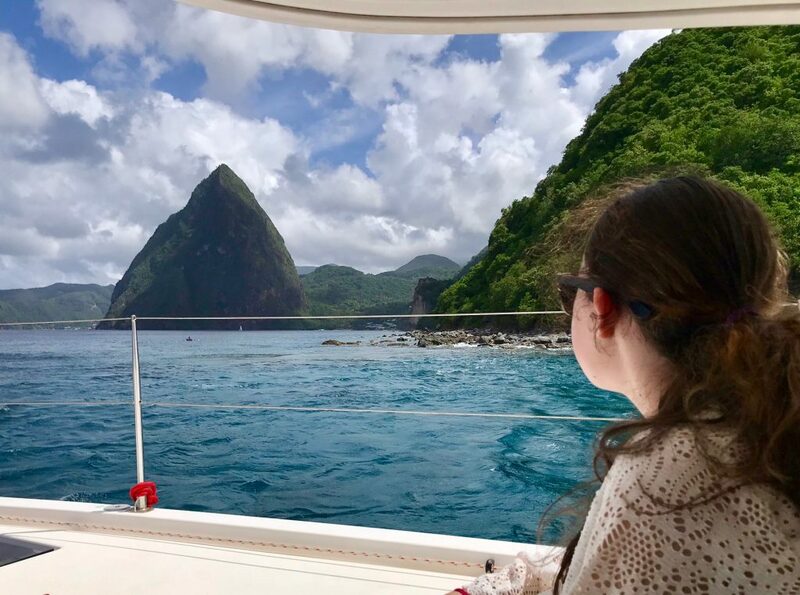 My daughter and I had the pleasure of visiting St. Lucia, and can’t wait to return to explore even more family-friendly activities. There is just too much to see and do in one visit. 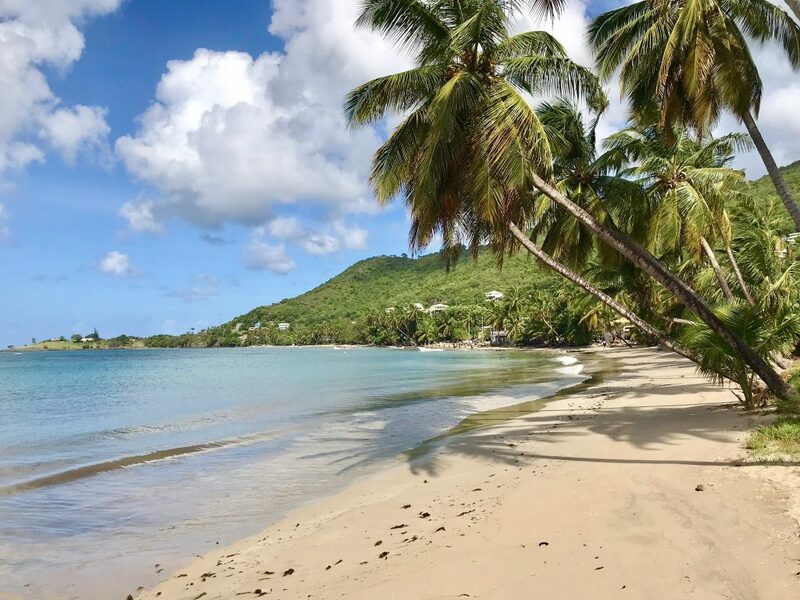 In addition to listing our favorite things to do, I’ve collected suggestions from other Traveling Moms who also love the island. 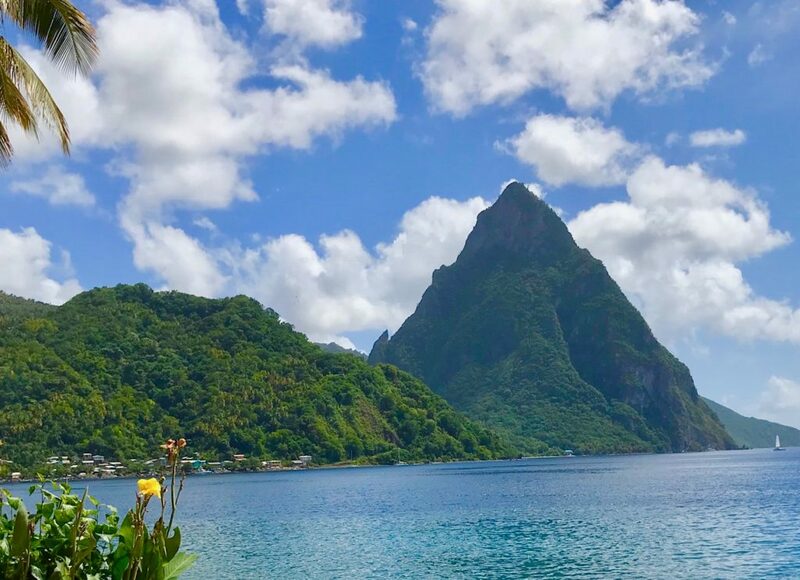 Many east coast cities, like Boston, New York, Miami, Newark, Philadelphia, and Atlanta, have direct flights to St Lucia. Once you arrive, you’ll likely need a cab or resort transport, unless your resort provides a transfer. Keep in mind that although St. Lucia is a relatively small island, its mountainous terrain makes road trips quite long. This first thing you’ll want to before you visit St. Lucia is to choose a family-friendly hotel. My daughter and I were hosted at the all-inclusive Coconut Bay Beach Resort and Spa It’s definitely one of the best hotels on the island for a family vacation. It’s also only about a 5-10 minute drive from the airport. The last thing you want is a lengthy drive after a long flight with kids. During our recent visit, my daughter and I had the pleasure of staying in the family section called “Splash.” There’s also Harmony (adults only) and Serenity (couples only). Both are gorgeous! I want to return with my husband someday for sure. Our room was spacious and comfortable. It was a suite with a king size bed with a trundle bed, which is well suited for a family of 4. Other room configurations are also available. Rooms with patios on the bottom floor are perfect for families to walk out and play on the manicured lawns. I find that staying at inclusive resorts are a great way to go with kids. You never need to worry about where to eat or what to do. 50,000 sf. “Kidz Club” for kids 12 and under. Traveling Mom Tip: All of the adventures below can be booked through the Cabana Bay Beach Resort and Spa. TripAdvisor names a zip-line adventure through rainforest canopy as the number 1 experience in St. Lucia. Experienced guides take you through the course where you are surrounded by the sounds of the rain forest creatures. Kids need to be at least 50 inches tall for this activity. You’ll also need close-toed shoes. Snorkeling locations abound in St. Lucia. Crystal clear waters make it easy to see all sorts of undersea creatures even far below. In addition to a plethora of tropical fish, we had the pleasure of spotting a school of squid (actually called a shoal) and an octopus. While this six-acre site is rather small, this award-winner is packed with natural beauty. You’ll walk paths through lush vegetation and a diverse collection of plant life and tropical flowers. For a fee, you can take a dip in the medicinal water of the historic baths on site. At the end of the path is the spectacular Diamond Falls. The Tet Paul Trail is the best way to get a view of both the Piton Mountains. The trail isn’t very long and it’s family friendly. There are fantastic views so be sure to pack your camera. If you have the stamina and are not with young children, there are more adventurous hikes as well. You will want sturdy shoes as the climb can be challenging at times. In order to climb some paths, you must hire a local guide to lead you to the top. PitonsSaintLucia.com is one example. Riding along the beach was a dream come true for my daughter and me. Feeling the wind in our hair while we traveled along the ocean’s edge on horseback was pretty spectacular. Our guided tour was through the resort, but there are many other stables where you can book a horse riding excursion. When you smell rotten eggs, you are in the right place. While it may not smell good, Sulphur Springs Park is a fun place to rub lava mud all over your body. It’s supposed to have healing properties and be very good for your skin. Some folks covered their entire bodies and then washed it off in the warm sulfur bath. My daughter and I stuck with some fun body art instead. Locals say that you cannot visit St. Lucia without seeing it from the water. I certainly agree. The Piton’s twin peaks look like something out of a movie. We took a full day land and sea journey out of Laborie up the west coast of the island to the town of Soufriere. This is no ordinary island. It’s Splash Island Waterpark. It is the Caribbean’s first open-water sports park. Families, kids, and adults who want to act like kids will love this obstacle-style park. 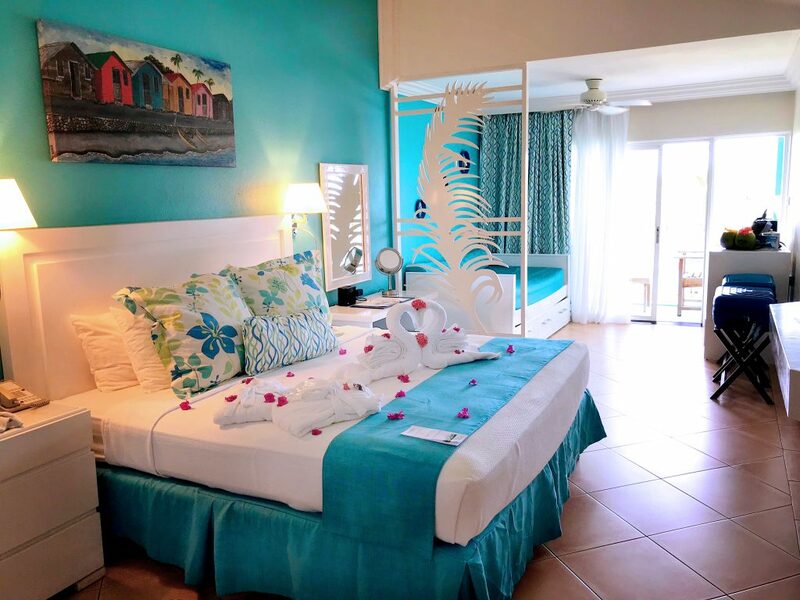 It’s located on the popular Reduit Beach, which is on the northwest coast of St. Lucia. Coconut Bay is gorgeous when seas are calm. Try adventure activities like kite surfing when the winds are up. Rodney Bay has white sand beaches, a marina, and a water park. Marigot Bay is site to a group of small beaches with a lush border of island trees. Reduit Beach has a narrow stretch of sand with swimming and water-sport options. Locals say you become part of the St. Lucia Family with a vacation you won’t soon forget. You’ll likely want to return again and again. I know we will! Jenn Mitchell is a proud mom, wife and adventure seeker. She’s traveled either solo or with family to 20 countries and 36 U.S. states so far. A former personal trainer, Jenn looks for ways to keep her family fit and active both at home and on the road. Her personal fitness journey was published in Prevention Magazine. She’s also been featured in Good Housekeeping, Women’s Health, and Fitness magazines. Jenn blogs at Comeback Momma, where her goal is to inspire other moms and families to live happy and healthy lives. St. Lucia is one of those places that’s almost magical. We went there a few years ago, and we still have it etched in our minds. I can’t wait to get us back there. Wow St. Lucia looks AMAZING!!!! Looks like a dream vacation for the whole family! I think I’d like vacationing in a place like this. So many fun options! I’d have to get out on the water for sure. Just being near that gorgeous scenery would be perfect for me!! I need to get away to a tropical island myself! I would love to visit St. Lucia! It sounds like a beautiful place! Can’t wait to check it out! I love going to an inclusive resort with my family. It makes planning things so much easier. This place looks absolutely heavenly! I would love to visit St. Lucia! It looks so pretty and I could really use the warmth right now. This place is gorgeous! I have been wanting to take my kids to an island vacation to give them the experience of snorkling in beautiful crystal clear waters and to show them what it’s like in tropical paradise! Thanks for sharing this property! I can’t wait to check out rates there!